Your latest album, Scree: Transmissions (out on DSBP Records) was rated as one of the best albums of 2005 by The Dose in the previous issue. Please tell us about the concept and the creative process behind the album. scree:transmissions is at its core, a record about communication. it’s about the dysfunction in way we communicate, & the effect of emergent technology & media on our interactions. i’ve always tended to think of scree as a thread of conversation. 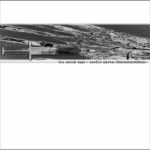 the previous record, rust:a fiction, was definitely more of a synths & sequencers album, very aggressive & direct. i made a conscious effort this time around to think outside the square in terms of composition, just attempting to break out of the box that writing electronically tends to place one in. once i came up with a storyline, it was just a matter trying to approach the feel that each song required to advance the story. several of the songs on scree began life on piano, or guitar. that juxtaposition of the organic & synthetic contribute heavily to the edge on this record. How well was the album received? What was the most intriguing interpretation of the album you’ve received so far? the reaction to scree has been great. we live in an age where it’s very difficult to sell records, so i think the very fact that we’ve managed to get it out there & have it sell reasonably well is an achievement in & of itself. i haven’t read a negative review of it yet. i don’t think anyone has actually tried to dissect the meaning behind it yet. shame really, because there’s a code hidden there if anyone cares to analyse closely enough. in terms of sonic interpretations, i’m most fascinated by the continued references to pink floyd. it’s certainly not a connection i would have made. perhaps it’s the fact that it’s a concept record, or maybe that musically it’s rather progressive. interesting nonetheless. Globalization brought forth a vast phenomenon of disconnection from reality, from ourselves. What would the five golden rules be that you’d set to those who would try and stay as sane as possible? rules are very, very dangerous things. there’s a lot going on just under the surface of late. the world is a smaller, more insular place than ever before, & there’s a collective homogenisation happening. something like myspace is a classic microcosm, a community where the sole purpose appears to be the accumulation of “friends”. it’s a status symbol rather than an actual meeting of minds, a classic sheep mentality where everyone unquestioningly aspires to the same ideal. & i think that’s borne out by the fact that, despite widespread instant global communication now being a reality, there’s more fear & mistrust over race, creed & religion in the world right now than at any other point in recent human history. it’s an ever increasing depersonalisation of those with opposing mindsets. & the only real answer is to hack our way through the system that’s been set in motion, halt the spiral, & actually start talking about meaningful things again. opening up proper line of communication, as opposed to just paying lip-service. 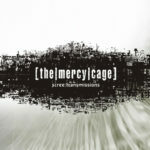 How would you define The Mercy Cage, being as genre-specific as you can? TMC was called everything from darkwave through EBM to ambient, dub, goth to industrial. [laughs] that’s a nigh-on impossible task. there’s a trend of late towards putting music in boxes, to label every single movement within an inch of its life. the mercy cage certainly has elements of all those genres, but i don’t think you can quite shoehorn it into any single one of them. it’s not a conscious decision, purely the fact that different sounds convey different moods. there’s nothing more irritating than buying an album by a band on the strength of a single, then finding that said record is virtually the same song recreated 14 times. it takes away the element of surprise & discovery that the great album should give you. i think i prefer the term cyberpunk, more as a general indicator as to the “feel” of the music, as opposed to creating a genre & having a predefined set of rules as to how the band should sound. in the end, music is music, & defining it to the nth degree would create limitations on myself as an artist. 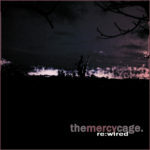 The first time I heard The Mercy Cage was on hellwire.com with “Needlemarks (& Scars)”. That song together with “Prozac, God & The Atomic Bomb” brings back some memories and associations that I can call cyberpunk. Would you call your music cyberpunk? Did you have any inspirative work force driving in you that you could attribute to the CP movement? definitely. from a literary viewpoint, i can directly attribute many of the themes prevalent in my work back to wider concepts from the likes of gibson, sterling & shirley. there’s a pervasive sense in cyberpunk fiction of a dystopian society that we’re inching ever closer to in reality. also, at its essence cyberpunk humanises technology & the way we interact with it. even gibsons earliest work can be viewed as something of an amoral socio-political agenda, & it’s a thread that can be picked up in his predecessors output in the likes of early ballard & burroughs. it’s probably as close as we’ve gotten to a bona-fide counterculture in recent years, though one would have to dispute whether there’s an actual CP subculture in anything but an aesthetic sense. it’s so hard to define. the term has been hijacked by media alarmism to denote 12 year old boys writing virii in their bedrooms, or as a cliche for a particular type of dress sense. i’d prefer to describe myself as resolutely postmodern i think. Four years ago you said the following, “the internet is increasingly becoming a less & less effective way to market a band.” How would you update this opinion of yours in the age of MySpace, spams, viral marketing and a possibility for effective target marketing? the idea of aggressively “marketing” a product is not something i’m terribly keen on. there’s a certain naivety on my part in that respect, in that i prefer to think of it as art rather than product. & it seems that with the current glut of music available & the widespread propagation of the various digital music delivery systems, the only way to get heard is to force ones product down peoples throats through created/invented hype. call me cynical, but i’m not sure we’ll see another grassroots countercultural musical revolution that’ll change the world in way that jazz in the 20s, psychedelia in 60s, punk & postpunk in the 70s, or grunge in the 90s did. with everything one could want on-demand via the internet, we’re just too apathetic. though the idealist in me would like to think otherwise. What is the New Zealand scene like in 2006? What bands would you showcase from your country, what bigger fests, parties or events would you highlight? there’s a fiercely individual ethic towards music making in new zealand. i’m convinced it has much to do with the relative isolation geographically. anyone interested in sampling some new zealand music should definitely check out headless chickens, the legendary johnny chrome & FEARvLOATHINC, skeptics, jordan reyne, n.u.t.e, minuit, danse macabre, clear stream temple, disjecta membra & concord dawn at the very least. as far as shows, there’s a large two-day event in wellington coming up at the end of june called darkness ’06, featuring the mercy cage, ikon & angelspit (from australia), horror story, & a load of kiwi bands.. i’m hoping it’ll become an annual event, because new zealand needs something of this scale regularly. With the number of community sites and its services increasing, more projects emerge while labels refrain from releasing newcomers in the shadow of financial risks as the indie bubble still hasn’t burst yet and the critical mass is not yet reached. Do you see a way out of today’s globalized, havoc-heavy indie music situation? this is the reality of the music industry now. if the internet has done one major disservice to music, it’s the fact that its convinced everyone they can be in a band. critical mass would have to be the point that there are more “projects” than people listening to them, & we surely can’t be far off that eventuality. the market is flooded with badly composed, performed, mixed & mastered music at the moment. it’s very hard for something of quality to poke through the mire. also, with the rise of the mp3 taking away the visceral response of owning an actual physical product such as a CD, music has become devalued, more disposable. perhaps that’s because we’re in between generations, & as the physical distribution systems disappear entirely, digital delivery will become all-pervasive, but i think record labels do act as a form of quality-control. having a company willing to invest money hopefully ensures that it’s at least competent before being unleashed on the world. society is on the cusp: either the average consumer becomes more discerning, sees through the hype, & starts actively seeking out worthwhile music, or we as artists effectively allow ourselves to be reduced to something marginal…background chatter. Please mark one non-audio art object which embodies most the concept and philosophy of the band. that’s a tough one. if pressed, i’d probably have to say william burroughs “naked lunch”. possibly a cliche, but it’s so dark, surreal, & provocative, again with a decidedly dystopian sense of things to come. & viciously funny to boot. either that or fritz lang’s “metropolis”. in both cases they’re portentous artefacts that seem even more relevant today than when first released. i do tend to identify with outsiders, artists that exist outside of any specific time period or genre. What’s life like when The Mercy Cage mode is switched off? What do you do, what hobbies do you have, what jobs do you have? [laughs] sadly enough, i don’t think it ever truly switches off. the mercy cage is an outlet for me, a way of purging thought & idea. for example, i’m on a big foucault/lotringer trip at the moment. the evolution of how we as a society perceive sexuality, & the alarming rate at which sexual taboos are breaking down is both fascinating & disturbing. i also have an obsession with cryptic ephemera, such as shortwave number stations, & the history of cryptography in general, so i’m sure that it’ll all find it’s way onto the next record in some shape or form. other than that. i’m a professional audio engineer, a hermit, & i like to collect things…odd things. Have you been active members of any other musical or subcultural scenes before setting still in the electro/goth community? prior to the mercy cage, i fronted a dark alternative rock band called The Altar, alongside current TMC live members dean young & r.neale. my initial approach to the mercy cage was a direct reaction against that. the idea of preconceived notions of a “band”, an attempt to create something with no cultural reference or debt to anything previous. after spending many years distancing myself from that era of my life, i’ve come to terms with the fact that it was very good guitar rock. we’re definitely trying to inject some of that raw energy into the current live show. Thank you so much for this interview once again. Do you have any final message to the DOSE readers? You’re dealing with different music styles –electro industrial, dark wave, cold wave, triphop, rock elements, and others go hand in hand. How important is the variety for your band, would you state stylistic incalculability as your most important trademark? What else is important for you regarding the album result? i’ve never really given too much thought to it stylistically. i regard scree, & indeed the other albums, as a collection of songs that convey a variety of moods. which i guess is very important when trying to tell a story musically. the whole concept of “i’m in an electro band, therefore every song shall have a distorted vocal, have stompy club beats, & be purely synthetic” is anathema to me. a good song is a good song. period. compartmentalising music is something we’ve become rather good at isn’t it? for every style of music there seem to be be a million sub-genres. i couldn’t tell most of ‘em apart to be honest. “scree:transmissions” is a concept record, dealing with the evolution of communication technology in the 20th century and the subsequent dysfunction thereof. Can you please explain your view on this theme to our readers and also comment on, how you’d personally think the situation will turn out within in the next few years? something has to give, because “now” feels very hopeless, very broken. we’ve bashed through so many societal taboos in search of what exactly? so facile. it’s such a hyper-sexualised, hyper-marketed world, & it’s hard to imagine it heading down this path for much longer before the whole thing collapses in upon itself. a truly terrifying prospect. it’s struck me as somewhat ironic that after all these years of fear of 1984/brave new world styled totalitarianism, the inverse now appears to be true, and it’s equally as awful. one would have to hope that eventually we’ll all actually start talking again, that the current desensitized fast-food/reality television ultra-consumerist mindset will recede. What’s your opinion about the “new entertainment playground” for the young target group: mobile phones including photo opportunities and the ring tone madness going on right now? evil things. i’ll admit to owning one purely out of neccessity these days, but they’re a perfect example of the evolutionary backward step communication technology has made in recent years. text messaging is slowly murdering language though character count & abbreviation. youth culture is becoming branded, defined by its mobile phone use. i think there’s a whole generation that’s growing up emotionally attached to their phones. it’s bordering on cultism. people are actually being murdered for their mobile phones, & every other day a new catchphrase for phone-related anxiety seems to crop up. a case in point i heard for the first time today: “text-regret”, which i’m assuming is identical to actual regret, without the burden of face-to-face interraction. One of your songs is called “Prozac, God & The Atomic Bomb”. What’s the background of that title? i’m rather willfully oblique on specific meanings of songs i’m afraid, but i will say it’s a song about fear, more specifically about fear of the void. the three subjects of the title all deal in a symbolic way with that void. anti-depressants are obviously the new high. years ago, it seemed everyone i knew was smoking or taking amphetamines, nowadays it appears they’re all on some sort of prozac derivative. it’s an embrace of the void. there’s such a fear of the way the world is developing, & instead of trying to stop the ride & do something about it, we take pills to negate the peaks & troughs. it does beg the question: if we’re supposedly living at the highest, most evolved point in human history thus far, why are we so desperate to block out, to numb the experience? as for religion, well it’s far too easy a mark isn’t it? a crutch for our fear that our current existence is as good as it gets. atomic armageddon has been one of my most enduring metaphors. something to do with growing up in the 80s towards the end of the cold war i think, because nuclear war is such an irrational and absolute concept. & perhaps that’s coming around full circle with terrorist threats, iran & north korea, & a leader of the free world who can’t even pronounce the word “nuclear”. How would you describe the musical evolution you made from your first record to your current album? it’s very much returned to being about the art of songwriting. the first record was somewhat of a feeling out of ways to construct music out of the technology available, breaking out of the standard idea of a “band”. so it was more about sound rather than songs. that’s definitely come back full circle on the new record. i think of this as a collection of songs, rather than musical set pieces, & it’s the first mercy cage release that i’m truly satisfied with. What are your hopes/dreams/plans for the near future? 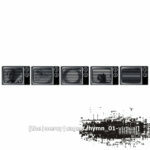 As a teaser to your “scree:transmissions” album, people were able to download the “Hymn_01-virtual” EP for free at your website, how were the reactions? extremely positive thus far. it’s been very gratifying, because it seems that each album has been a major reinvention for me in terms of style & content. it’s nice to have the fans who were there towards the beginning be able to appreciate these songs, alongside people just discovering the band. while the EP has been a useful sampler for anyone curious about the new record, i still maintain it’s an album that works best when listened to as a whole. What is exactly the concept behind “scree:transmissions”? it’s a record about communication, about the way we communicate, & just how hard it’s become in an age where instant global contact is finally a possibility, to have a meaningful conversation anymore. the technology seems to produce nothing but emotional dysfunction. this grander sense that as a society we’re on the search for some sort of quick-fix nirvana that doesn’t exist, that the accumulation of things & iconography are moving us further & further away from what is really important. “scree:transmissions” is a thread of conversation. a dialogue about endings. You describe the release as being far more ambitious than anything the band has attempted previously, please explain. “scree:transmissions” is a very dense record, there are so many layers of sound to each track. it took a long time to balance all of these elements into cohesive songs & an album with a distinct flow. it’s also the first time i’ve tried to follow the script in my head so closely, to write to a definitive plan. 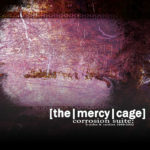 in the end, this is the first mercy cage recording i’ve finished & been truly satisfied with. [laughs] as a rule, not normally, but i think i’m learning. i was struck by the certainty this time round that, regardless of deadlines, i couldn’t let this album out of the studio until i was 100% sure that it successfully expressed what i was trying to say. so much of that time was spent tweaking & refining the mixes & running off on tangents. we wound up recording somewhere in the region of 40 songs during the scree sessions, some which didn’t make the grade are actually very good, & may crop up as b-sides or compilation tracks at a later date. The influences on the record go from cold wave, dance floor EBM, electro-industrial to darkwave and rock. Not easy to classify, why this huge mix of elements? well, on one hand, it’s an attempt to break out of the cycle of writing music purely with sequencers & synthesizers. while they’ll always be a large part of the bands sound, it’s a very limiting way to write. i made a conscious effort to write some songs on piano, on guitar, just trying to create a different starting point for each track. “requiem [torch song]” is an interesting case in point. it wasn’t until i’d completed the album that i realised that were are no synthesized elements on that track at all. it’s a new thing, & it’s rather pleasantly surprising. to me, good music is good music regardless of genre. there seems to have been a shift in society over the last ten years to sub-genrify music out of existence. music seems to have become so boxed in & compartmentalised that if you buy a CD with a track you’ve heard & like, you can guarantee that you’ll hear twelve identical songs. the element of surprise & discovery seems to have been lost. the idea of easy definition is a concept i always try to avoid. Apart from being released via USA’s indie label DSBP, New Zealand sees the album out via Mediatrix, what is the market for this kind of music in New Zealand? I guess it will not be targetted at the Tolkien maniacs populating the valleys and mountains there during the touristic seasons? 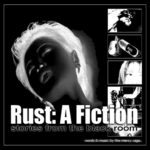 I remember that one of our reviewers described your previous release “Rust: a fiction – Stories from the black room” as being ‘electronic music conceived for a bulldozer’… The bombast is still there but I feel everything is much more refined? well, its been five years since i finished “rust:a fiction”. i’ve grown both as a person & as a writer. there’s an awful lot of pent-up aggression in that last record, whereas “scree:transmissions” deals a lot more with the subtleties of human interaction. also, i think it comes down to the basic fact that while there were some very good songs on “rust:a fiction”, it’s not a very well mixed record. there was more thought put into the finished product this time round, & in the end, the aesthetic & the content is far more refined. 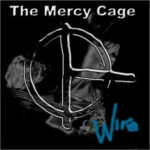 FIEND’s Justin Tall has a chat with Josh from New Zealand’s The Mercy Cage. from FIEND #5. 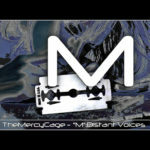 For anyone who hasn?t heard The Mercy Cage before, how would you describe your sound? Conceptual darkwave, which is a handy catch-all for the mish-mash of styles: male & female vocals, & genre mangling ranging from coldwave, synthpop & EBM, thru to IDM, breakbeat & dub. How do you think your new material differs from the music of your previous album ?Rust: A Fiction? Scree: transmissions is a far more ambitious record than “Rust: A Fiction”. it’s a huge step forward in terms of both production values & concept. melodically ‘scree’ is much stronger. it’s more a song-based record this time around in that most of the songs started life on either piano or acoustic guitar. there’s a heavy experimental ethic to the album as well. ‘scree:transmissions’ should be out soon thru Mediatrix, BLC & partners. What bands/projects/music did you listen to that really made you want to go out and music of your own? A long & slightly eclectic list. back in the day: Headless Chickens, Nitzer Ebb, Lou Reed, Julian Cope, Magazine, Gang Of Four, Kraftwerk, Judas Priest, David Bowie, & Public Enemy. Also, are there any bands out there now which really impress you? A lot of new zealand electronica coming out these days: FEARvLOATHINC, Jordan Reyne, Minuit, Rhian Sheehan, & on the industrial side of things a couple of aussie bands Tankt & Stark, NUTE are possibly the best live band i’ve seen, & Clear Stream Temple are doing some very brave things at the harder end of the spectrum. Do you think that living in a relatively small and isolated country like New Zealand has influenced the way you make music? Definitely. it’s a double-edged sword in some respects. you’re pretty well removed from the geographical centres of the scene, but by the same token most of the kiwi bands have managed to develop a very distinctive sound, far more so than most of the european & american groups in my opinion. the internet is slowly breaking down geography, but you’re always going to be influenced by the environment you’re in day to day. What do you think have been the high points in your musical career so far? The response to ‘rust:a fiction’ has been great, & hopefully ‘scree:transmissions’ will be a step forward from there. seeing people’s reactions to the songs live at the first gig @ the vampyre ball in 2002 was a buzz, & the opportunity to collaborate with NZ EBM legend johnny chrome recently was a privilege. 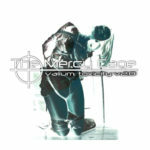 The Mercy Cage have appeared on the Interbreeding III: Xenophobic compilation (on BLC Records). How did that come about? Also, do you have any other appearances planned for the near future? Brandon of BLC, is a fan of The Mercy Cage. He invited us to contribute an exclusive track for Interbreeding III. I have a great deal of respect for the bands that BLC is releasing at the moment & was only too happy to oblige. it’s a remix of ‘Prozac,God & The Atomic Bomb’ from ‘scree:transmissions’. The club bizarre compilation ‘re-inventing sheep’ is also out now, featuring The Mercy Cage track ‘Hymn_01?, & we’ll be represented on the fourth volume of the Interbreeding series. I’m also contributing a couple of tracks to the new Diverje album, & there are a few other comp appearances in the works. You’ve been working on a lot of remixes lately also (for bands like Attrition, Clear Stream Temple, Diverje, and Angel Theory etc). What exactly attracts you to remixing and reworking other projects music? The idea of taking someone else’s song & turning it upside down has always appealled. there are a glut of remixes being released with every record that comes out these days that really don’t reinterpret the song other than adding a club kick. for me, remixing is all about taking the source material & stretching it as far as it’ll go. if you keep pushing it’s possible to completely subvert the original intent of a song & create something entirely fresh…that’s probably the most gratifying aspect. With the departure of Dene (guitarist), how has this changed the dynamic of the band? Strangely enough, despite the fact that he’s now based on the other side of the world, dean has contributed more to the new record than anything previously, because it’s more of a guitar record, so hopefully that working relationship will continue. it will definitely have a huge impact on the live outfit though, as he was an integral part of the live sound. when we get to the point of taking the new album on the road, we’ll have to start looking for a new guitarist. Ultimately, what would you like to achieve with The Mercy Cage? I’m very keen to branch out into soundtrack scoring. we’re working on a couple of scores for experimental short films at the moment. other than that, each record seems to drive the sound closer to the ideal i hear in my head. it’s always a search for that ideal.